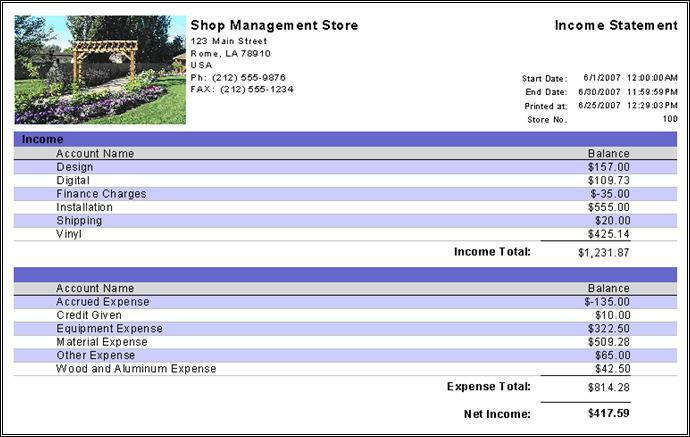 This report will show the net income of the company in a chosen date range by taking the income account totals and subtracting the expense account totals. The purpose of this section is to explain the financial treatment of Earnings in Control. Cyrious uses two system accounts, Current Earnings and Retained Earnings. Current earnings reflect the earnings in Control since the last yearly closeout. Retained Earnings reflect all earnings in Control prior to the last yearly closeout. Before explaining how Control manages these accounts, let us briefly review a simple earnings example. You sold a widget for $100. The customer paid cash in full. The widget cost $60 to buy, and was pulled in inventory. The net profit on this particular day would be $40. From this example we see that each transaction we will have an equal impact on net profit and earnings. Whether the impact is on Current earnings (meaning in this closeout year) or Retained earnings is just a matter of when we look at the balance sheet. In many accounting systems, closing the year records the year's current earnings into a Retained Earnings account and purges the Income and Expense history. This latter action results in the loss of historical information, and the inability to post any historical entries. Like many newer accounting systems, Cyrious Control works on a dynamic retained earnings system. Cyrious does not purge historical income, expense, or other GL data. The calculation of Current and Retained Earnings are done in real time on demand. 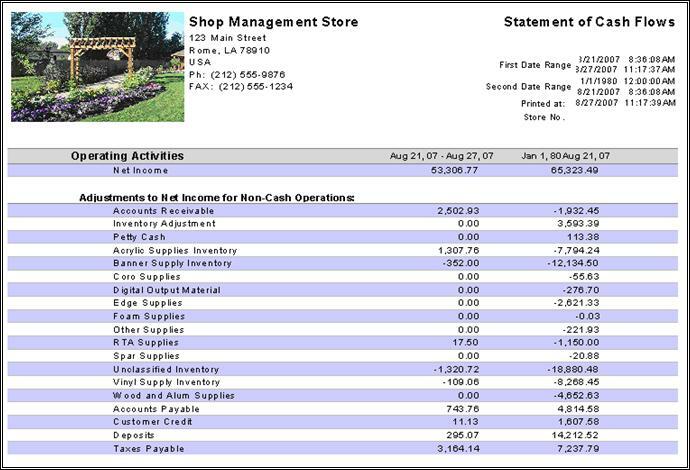 Whenever the Income Statement is viewed, Net Income for the period is calculated. Whenever the Balance Sheet is viewed, current and retained earnings at the specified time are calculated. The effect of yearly closeout in Control is therefore simply to mark the point at which to move consider everything past as Retained Earnings and everything from then on as Current Earnings. This report shows a summary of the company's assets, liabilities, and equity in a chosen date range. Asset Account - Listing of all asset accounts; grouped by account type, asset, expense, etc. 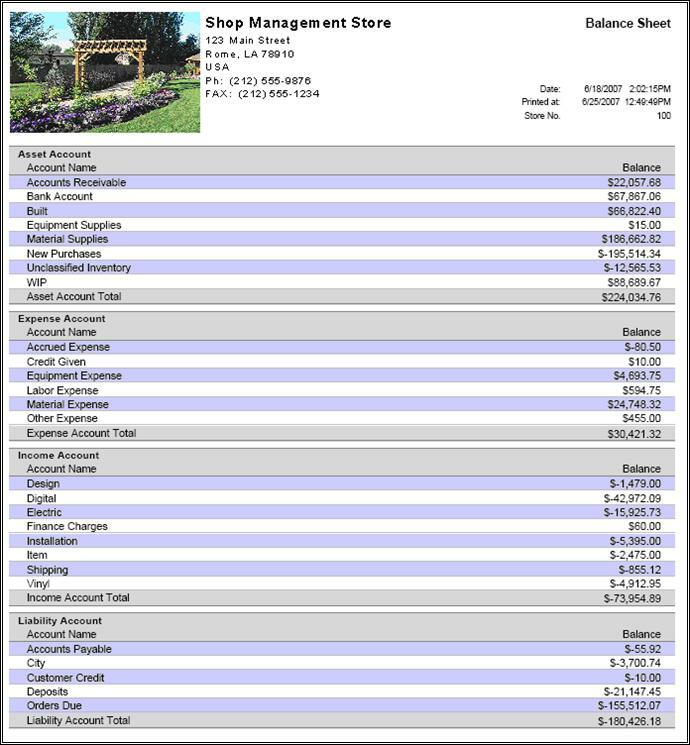 This will show a detailed listing of all income and expenses by category of chart of accounts. 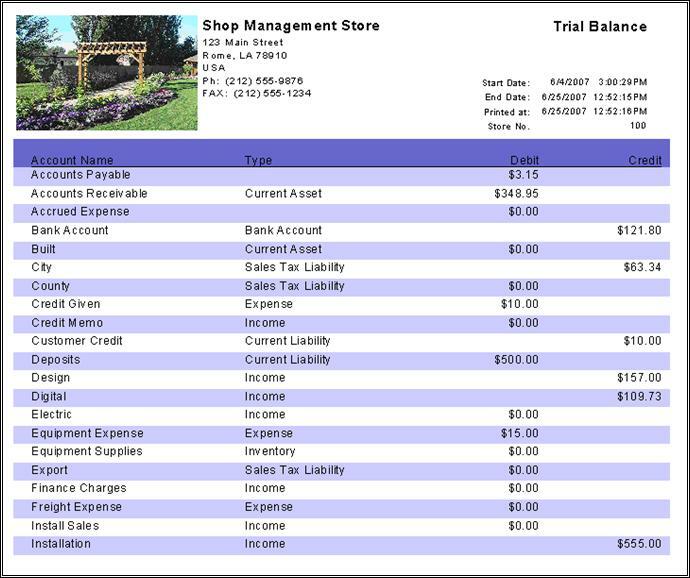 Type - Type of account; Asset, Expense, etc. This report will show the company's cash position over a period of time, by taking the net income and subtracting the changes in assets (operating activities) and changes in liabilities and equity (financing activities). 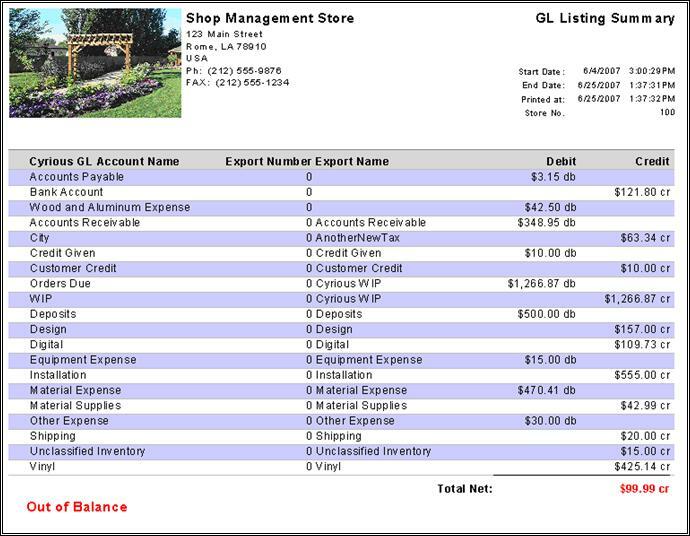 This will show a summarized list of all GL accounts used by your company. 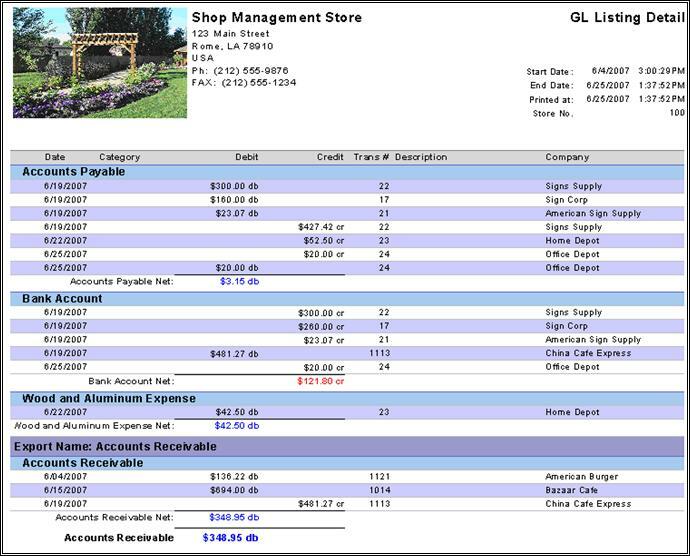 This will show a detailed list of all GL accounts used by your company in a chosen date range. This report's information is grouped by account type. Closeouts are “report actions”, which is a fancy way of saying they are not really reports at all. Closing Out a period, and Backing up, and a few other features, frequently occur when you are printing reports. For this reasons, the creators of Control allow you to treat certain features like reports and add them into you report groups. Closing the period is an important part of the financial tracking associated with Control. Because Cyrious is being used throughout the business, transactions often happen after the accounting day is through. Using the calendar day, month, and year can be fraught with problems when items are happening in the system outside of accountings control. Closing the period provides an easy way to “mark” the time when you are starting a new day, month, etc. At a minimum, Cyrious recommends you perform a financial close out every day (called a Daily Closeout), every month (called a Monthly Closeout), and every year (you guessed it, called a Yearly Closeout). Additionally, most franchises require a Royalty Closeout, and you may wish to use the Weekly or Export Closeouts to track additional “markers in time”. It is important to note, that closing a period does nothing to the underlying data. It just records the date and time, so Control (and you) know when to start counting from. There is no firm requirement to close any periods in Control, but the experience of most users is that it is easier to use the feature and then wonder if you have to reprint those reports for fear that something might have changed. For more detail on why you will want to Closeout, see the Control Users Manual. A not-so old proverb says, “In the long run there are two types of computer users in the world; those who back up and those who wished they did.” Cyrious Control provides an easy mechanism to backup your data on a daily, weekly, or monthly basis. You can include a back up in your daily, weekly, or monthly closeout by adding it as a “Report Action” under reporting setup. This will cause the backup to run in the background whenever you close the corresponding period. To setup the backup, including where the backup database is stored and how many copies of the backup to keep, navigate to Backup Options under System Setup. It's easy to do, and keep in mind that no amount of regret will fix that crashed hard-drive.